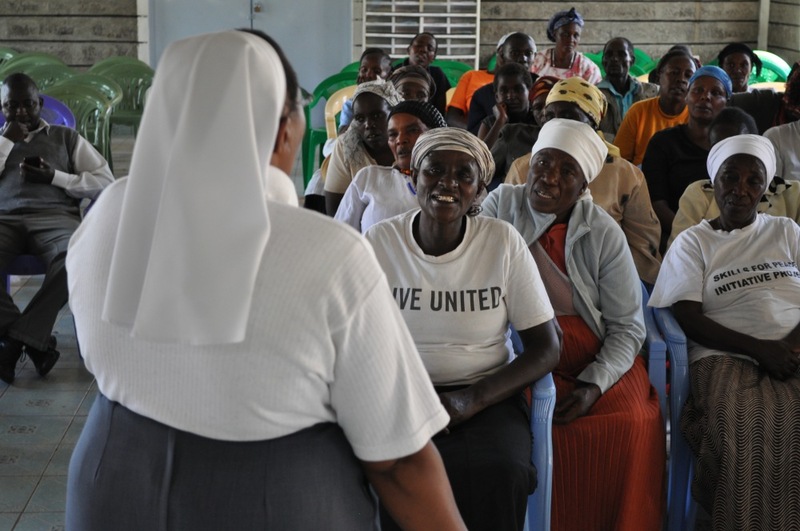 Upendo Village educates thousands of clients, school children, prison inmates and others in order to promote understanding of causes, prevention and treatment and to dispel myths about HIV & AIDS. 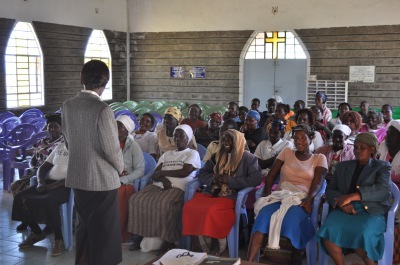 This helps individuals, families and communities to cope with Kenya's HIV & AIDS pandemic. Upendo Village teaches preventive health, self care, and various skills for self-sufficiency in accord with each individual's potential. 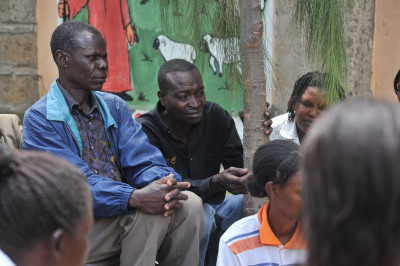 Five scattered-site support groups facilitate mutual emotional and social support for clients and caregivers, as well as a framework for personal transformation and the reconstruction of lifestyles. The children's support group, known as the "Kids Club", gathers and guides children to help them deal with their unique issues. Education, counseling and nutrition support (food distribution) are included. 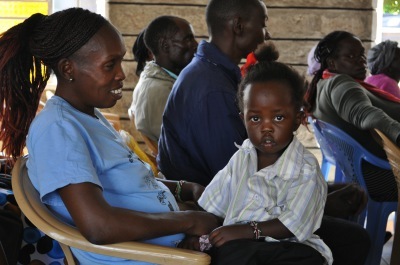 This program provides education and resources for economic self-sufficiency to clients who have regained their health through Upendo Village's Clinic and Home -based care programs. They learn beadwork, beekeeping, poultry keeping and the care and raising of dairy goats and chickens. Clients are encouraged and supported in renting small farms to grow their own food, managing kiosks with vegetable and other foods and planting trees (valuing ecological sustainable ways of living). Rose writes, "I do craft work, making jewelry which is sold to provide us with some income. I am able to support and educate my daughter and also care for my aging parents, thanks to the support and empowerment provided by Upendo Village." 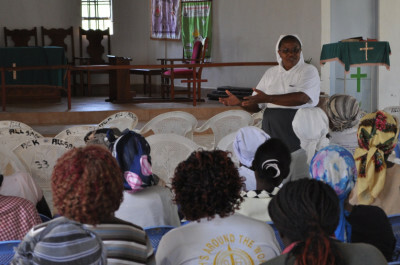 Care and Education-Sister Florence, with her social workers and other professional members of her team, are very creative in finding ways to place orphans who have lost their parents to AIDS - preferably with next of kin. Many of Upendo Village's 3 million orphans, some of whom are trying to survive in the streets, are in need of placement. After children are placed, Upendo Village offers continued support and resources necessary for maintaining their health and their formal education so that they can grow to become strong, independent individuals and contributors to their communities. Upendo Village provides house rent to most desperate cases so that families are not thrown out in the cold, complicating their struggle of living with HIV & AIDS and it identifies families who own homes that are in desperate need of repair or more space. Volunteer construction teams assist in these repairs in order to improve health and reduce the incidence of opportunistic infections related to poor housing conditions. Upendo Village partners with local medical facilities and other agencies in the area for effectiveness and sustainability of its programs e.g. Naivasha District hospital, A.I.C Kijabe hospital, D. T. Dobie Company, and flower farms among others.